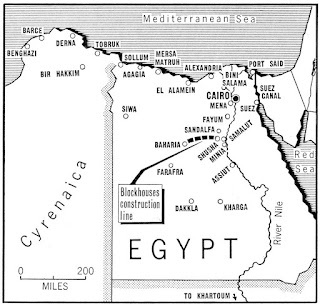 By late August 1916, five blockhouses had been built and a sixth (B.6) was nearing completion along the Darb el Rubi track, from Samalut on the Nile towards Baharia. 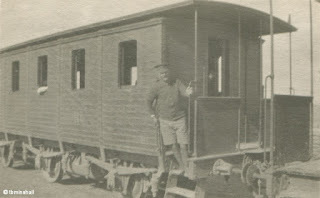 The light railway too was expected to reach B.6 by early October. During this period the main Senussi force, estimated at 1,800 men, was in Dakhla, the richest of the oases. By October, Sir A. Murray was ready to reoccupy Baharia, and ordered the new Western Force commander, Major-General W. A. Watson to commence operations against it. News leaked to Sayed Ahmed, who had advanced from Dakhla to Baharia with most of his force. Ahmed retreated to Siwa from 8–10 October. An attempt was made to try and cut off the rear guard by a concentration of light cars but despite their weakened state due to hunger and illness they were able to escape. The "warders of the desert"
It was now known that the force in Dakhla was much smaller and likely to retire soon. Watson decided to attack from Kharga. 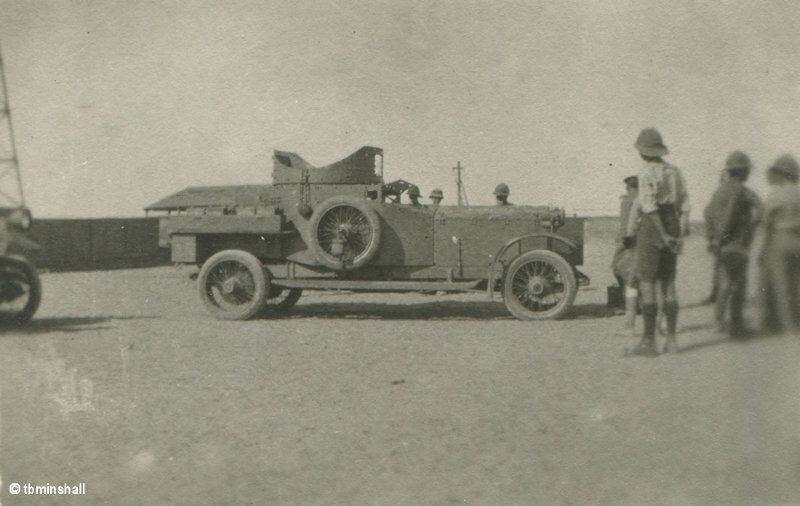 The force contained sixty men with a Rolls-Royce armoured car and a tender, six Fords and twelve motorcycles, two Vickers and two Lewis guns supported by a company of the Camel Corps. 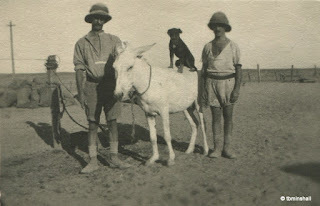 The cars reached Dakhla on 17 October, 48 hours ahead of the Camel Corps, but it was found that most of the Senussi had gone, apart from a party of about 120 men at Budkhulu in the middle of the oasis, who were taken prisoner. With the arrival of the Camel Corps on 19 October, 40 more prisoners were taken. With further patrols in the area the oasis and its 20,000 occupants had been cleared of the Senussi by the end of October. 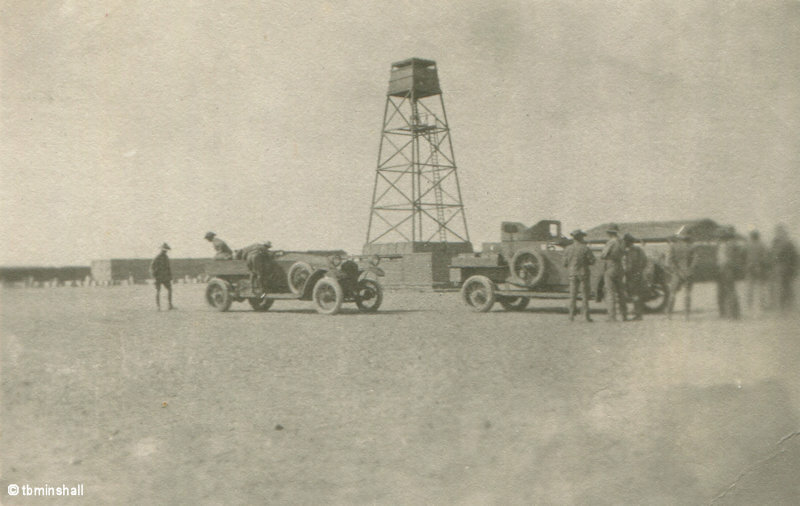 Garrisons were installed at Dakhla and Baharia and civilian government restored. The Senussi had played the game, from their point of view, extremely well. That had kept a very considerable force from participating in the war against the Turks for many months. The result had been the expenditure of vast resources in building the block houses and the railway, all now of limited value. They had waited until the last possible moment when the block house line was completed and the railway very nearly so, before disappearing. 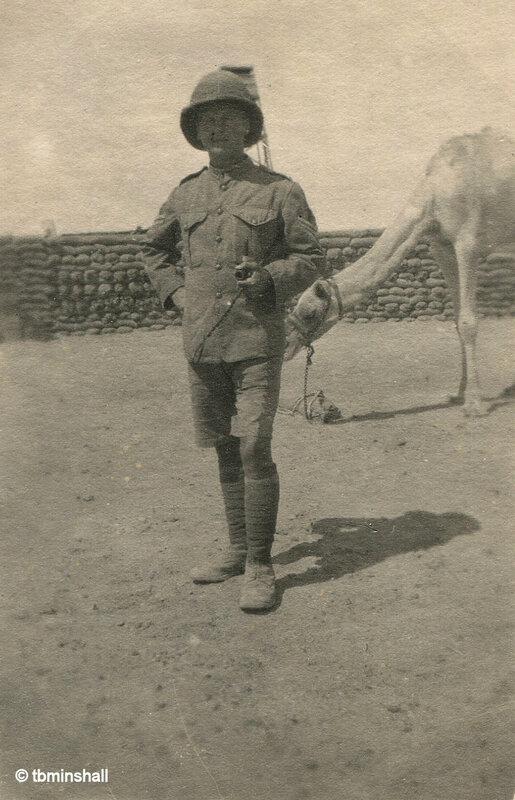 Sayed Ahmed was attacked and defeated at Siwa at the beginning of February 1917, by a force of aroured cars from Sollum under Brig.-General H.W. Hodgson. This finally liquidated the Wester Desert campaign by discrediting Sayed Ahmed and destroying his influence. Of the force planned for the attack on the Bahariya oasis, one of its regiments was to be the Cheshire Yeomanry with one squadron of the Shropshire Yeomanry instead of “A” Squadron. The latter could not be spared at the time from its duties in Samalut. It had also been arranged that in early October 1916 the remainder of the Shropshire Yeomanry, assisted by “A” Squadron Cheshire Yeomanry, should take over the lines of communications (L. of C.) from the Glamorgan Yeomanry. In preparation for this the Cheshire Yeomanry regimental headquarters and “B” Squadron moved from Minia, where they had been since April, to Shusha and where they were joined by the squadron of the Shropshires to be attached to them. The departure of the Senussi changed all plans. With no need for active operations the Cheshire Yeomanry heard, on November 3, that it was to leave as soon as possible for Alamein and Moghara. The Shropshire Yeomanry too was to give up the L. of C. and move south to the Kharga Oasis. At 8:30am on 14 November Cheshire Yeomanry left Shusha arriving at Alamein at 8:00am the next day. 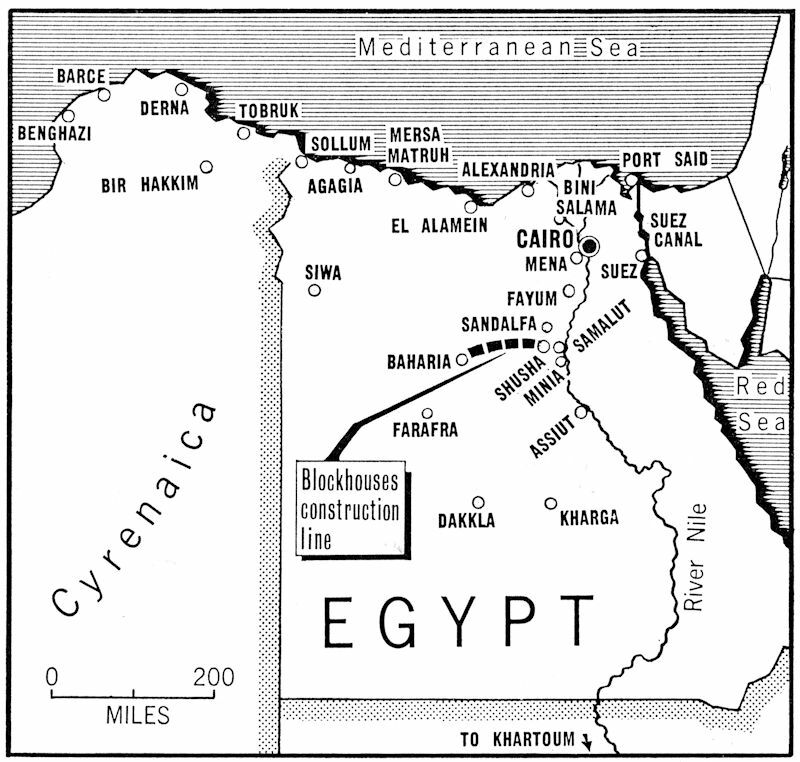 On arrival at Alamein “C” Squadron went straight on to Moghara, 32 miles to the west. 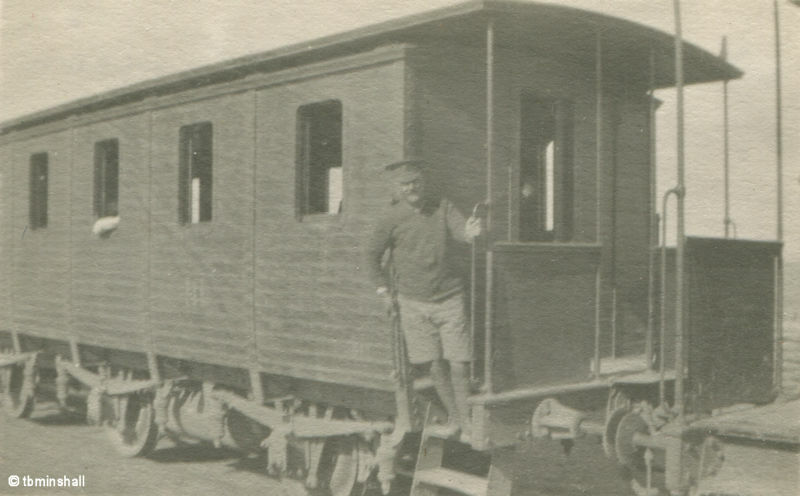 Moghara Camp had been garrisoned all the summer by a force including the Denbighshire Yeomanry, but nothing at all had happened. The camp itself was not as big as some of the block houses on the Baharia line but had been extremely well fortified with sandbags. “C” Squadron remained at Moghara until 20 December, when it was replaced by “A” Squadron. Before it left Shusha, Cheshire Yeomanry had known it was to be formed into an infantry battalion. As a consequence, it would now have to learn to do everything the infantry way, rather than cavalry drill on foot as practised in a dismounted Yeomanry. 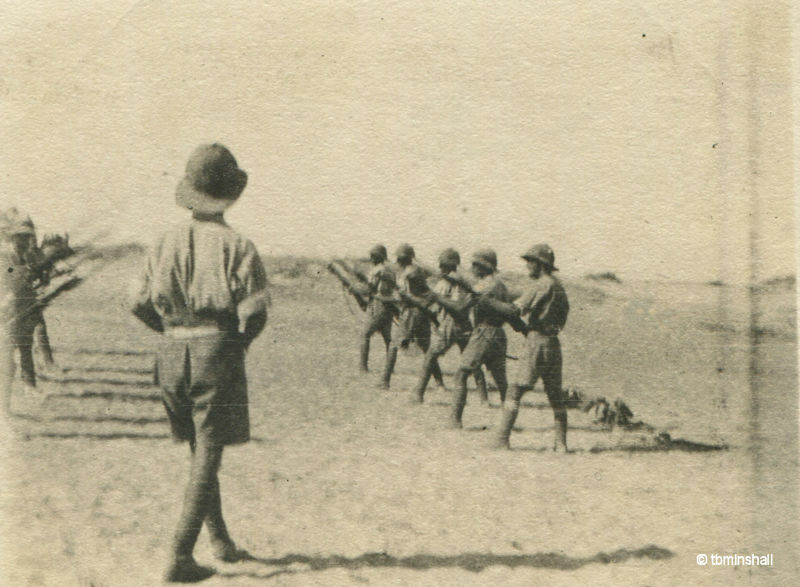 As soon as it was settled down in its new camps an intense period of infantry drill training began. Further significant change for the regiment was to come; because the establishment of an infantry battalion was so much greater than that of a cavalry regiment it would be necessary for six yeomanry regiments to be amalgamated into four infantry battalions. The Cheshire Yeomanry were to amalgamate with the Shropshire Yeomanry to form a Battalion of the King’s Shropshire Light Infantry. There are no War Diaries for the Cheshire Yeomanry subsequent to December 1916.